Our food is familiar and straight forward, yet highly innovative. It is familiar because it is personal. It is made and served by a group of people who love preparing food as well as indulging in it, gorging on it, chatting about it endlessly. It is a way of life, somewhere between a healthy obsession and a bad habit we can't kick. If the cookbook is anything to go by they can only be amazing. The stores themselves are not only vegetarian but they have become especially well known in London for what they do with vegetables and grains, plus fresh original salads. I certainly can't wait to sample some first hand when I hit London next year. Another food destination to add to the agenda. This book arrived with Mum and Dad from the UK with 4 others so lots of new inspiration for me. Purple Citrus & Sweet Perfume by Silvena Rowe looks especially fascinating. Eastern Mediterranean so lots of new and interesting flavour combinations to check out. 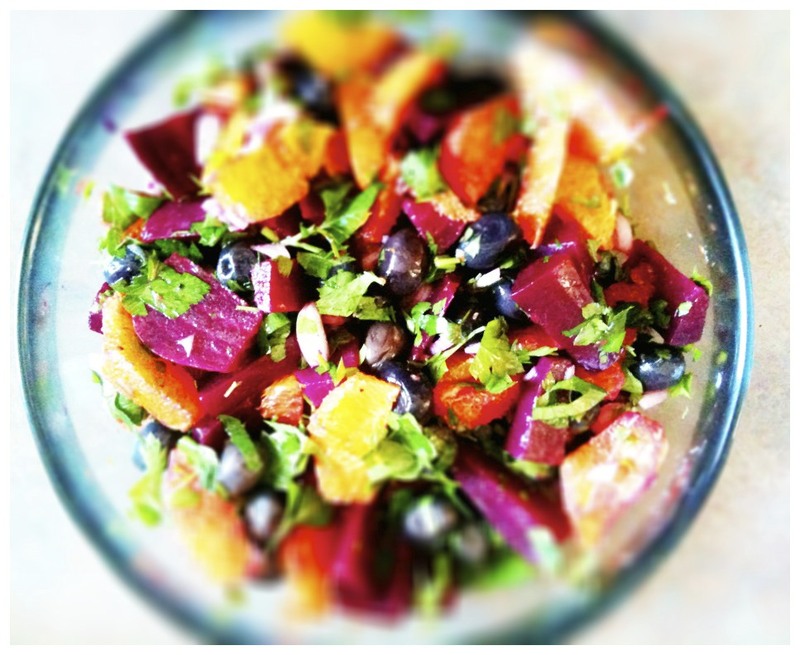 In my vegetable box this week were gorgeous beetroots and the sweetest oranges all freshly picked. 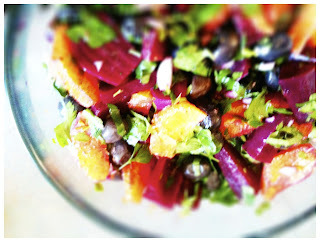 Mr Ottolenghi solved the problem of what to do with them all with his Beetroot, Orange and Black Olive Salad. Adapted and tweaked only because I didn't have all the ingredients to hand. Sweet beetroot, citrusy orange and salty olives make for a great combination. Here is the recipe in its entirety, which I do hope to try properly at some point. 1 red endive (red chicory) - this was one of the missing ingredients for me. If anyone knows where to get some in NZ please let me know! 40g wrinkled black olives, pitted and halved - I got some amazing greek olives at La Cigale - perfect for this recipe, but I am sure it would work well with regular Kalamata too. 3 tbsp rapeseed oil, I used rice bran oil. 1 tbsp orange blossom water, I didn't have any but would love to see what it adds...next time. Place the beetroots in a pot, cover with cold water and bring to the boil. 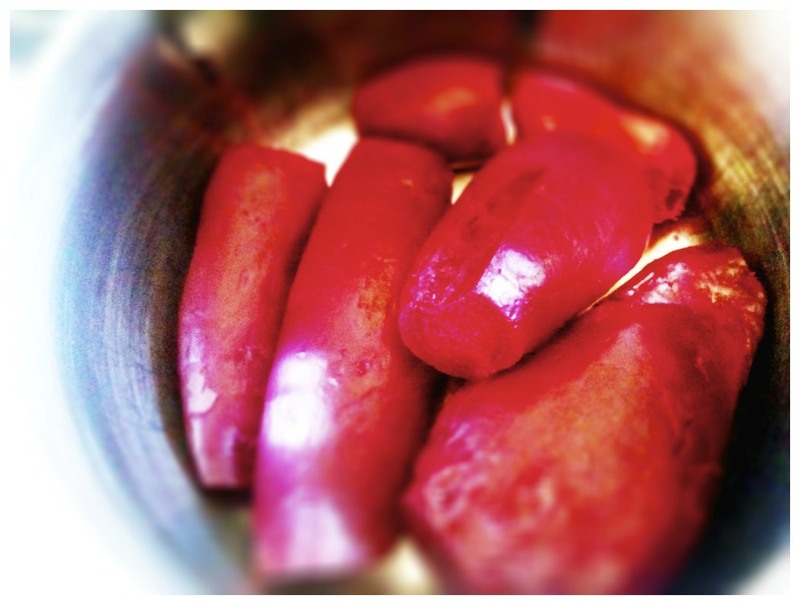 Cook for 1-2 hours, or until tender - when you stick a knife into each beetroot it should go in smoothly. Leave the beets to cool down in the water. Once cool, take them out and peel. Cut in half, then cut each half in to wedges that are 1cm thick at their base. Place the beets in a mixing bowl. 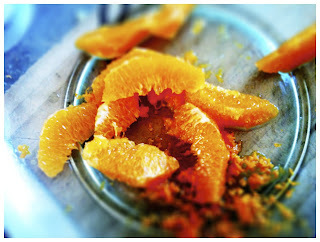 Take the oranges and use a small sharp knife to trim off their tops and bases. Now cut down the sides of the oranges, following their natural curves, to remove the skin and white pith. Over a small bowl remove the segments by slicing between the membranes. 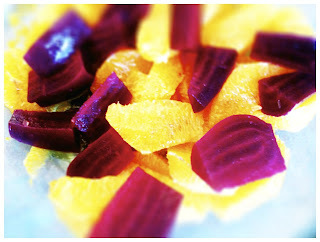 Transfer the segments and juice to the bowl with the beetroot. Discard the membrane. Cut the endive vertically into 2cm thick slices. Break them up into separate leaves and add to the salad. 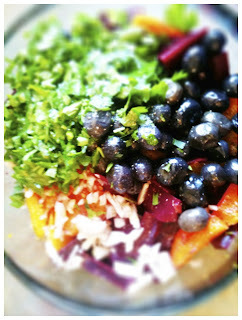 Finally, add the remaining ingredients and toss everything together gently. Taste and adjust the seasoning, then serve. A truly beautiful salad, the vibrant colours of the beetroot and orange really do make a pretty plate. A great addition to Summer BBQs providing a little sweetness. Hi Anton, thanks for comments. Looks great & tastes great too.